"Sir Thomas, having seen her walk rather than dance down the shortening set, breathless, and with her hand at her side, gave his orders for her sitting down entirely." Notice the important distinction in "having seen her walk rather than dance" (italics mine). In films, either the inability of the actors, the ignorance of the choreographers, or the needs of the director tend to result in dancers gliding sedately around the set. But "stately walking" is not part of Regency style. Those who think that Regency dancing was all slow and elegant must not be familiar with the energy level of your average teenager! Modern country dance forms often explicitly call for the arms to be raised and a "W" to be formed; this is 20th century style rather than Regency style. When you see pointy elbows in a Regency-era picture, it's a hint that you're looking at a caricature. Country dancing had a long and varied life over the roughly 175 years in which it was a dominant dance form. But like any art, it evolved over time. Figures popular in the 1600s went out of style and were replaced by others. The turn single, in which a dancer turns around (solo) by walking in a tiny circle of four steps, was a notably popular figure in the 1650s when country dances were first reliably recorded. By the late 18th century it had completely vanished, as had the popular 17th century choreographic sequence of "leading, siding, arming". Any dance containing these figures is not a dance of the Regency era - it's a dance of the English Civil War era and about as accurate for the Regency as disco dancing would be. Along with the peculiar notion that dance figures from the 17th century are useful for the early 19th century comes the even more peculiar notion that entire dances of that era are appropriate. Regency-era dancers were not interested in doing the dances of their great-great-great-great-great-great-great grandparents, any more than today's teenagers are. Dances like "Hole in the Wall" and "Mr. Beveridge's Maggot" were written in the late 17th century. Their music is completely inappropriate for the Regency era. Their style is inappropriate. Their steps are inappropriate. There is no sense in which these dances belong in the Regency era. Loving obsessions with these dances make me want to cry at the sheer ignorance being promulgated by the people who keep putting these dances in movies. And any dance advertised as "Playford" suffers from a similar problem. The Playford manuals were published from 1650 to 1728, which you may notice is significantly before the Regency era (1810-1820). You can look at a great index of all the dances in the Playford manuals here. That index conveniently serves as a list of dances to avoid for the Regency era. In modern "English Country Dancing", the duple minor form in which a set is formed from subsets of two couples is popular, often cued up by "hands four from the top!" In the late 18th and early 19th century, the default form of the country dance was triple minor: subsets of three couples. Some of the most popular figures of the era such as swing corners (known as "contra corners" in modern contra dancing) or the hey involved three people or three couples at once. Until the very late 1810s, all country dances at a ball would have been in triple minor format and would frequently have featured this sort of figure. "Do you not feel a great inclination, Miss Bennet, to seize such an opportunity of dancing a reel?" In its simplest form, the reel consisted of three or four people alternating between the interweaving hey figure and dancing in place, with the men in particular showing off their fancy footwork. Thomas Wilson choreographed some more unusual reels for three to six dancers, but it's not clear whether those ever caught on in the ballroom. "'Do not mistake me, however,' said he: 'I do not mean to say that I consider all young ladies who waltz as devoid of modesty, delicacy, or proper feeling; but I feel that I should wish my sister, or my mistress, or my wife, to have a sort of untaught aversion to the familiarity which waltzing induces. I would have her prize too highly, from self-respect, the sort of favour which a woman confers on a man with whom she waltzes, to be willing to bestow it on any one of her acquaintance. I would wish her to preserve her person unprofaned by a clasping arm, but that of privileged affection. For indeed, dear Miss Musgrave, if I saw even a woman whom I loved, borne along the circling waltz, as I see these young ladies now borne, I should be tempted to address her partner in the words of a noble poet--'What you touch you may take.'" The early waltz looked quite different than the modern form. Dancers moved on their toes in a different pattern than what is seen in today's competitive ballroom dancing (Dancesport, "Dancing with the Stars"), and adopted a wide range of "attitudes" of the arms, one of which is shown at left. Waltzing also was not limited to today's three-four time; the lively sauteuse waltz involved leaping and kicking in two-four or six-eight time. Nor were waltzes choreographed, though Wilson suggested dancing different waltzes in sequence (slow three-four time followed by lively six-eight and back to three-four again). Entire ballrooms of dancers did not perform identical moves like wedding guests today doing the "Electric Slide"; that is modern theatricality rather than Regency social dancing. "...and she found herself the next moment conducted by Mr. Crawford to the top of the room, and standing there to be joined by the rest of the dancers, couple after couple, as they were formed." As the couple worked their way down a long set of dancers (this could take ten minutes or more), additional dancers would join in, until the entire set was moving. When the lead couple reached the bottom, they would stand out briefly before rejoining the dance to assist the other couples progressing down the set. Time spent not dancing was not considered wasted time or "just standing around"; it was a rare opportunity for intimate, unchaperoned conversation with one's partner. On a practical level, it also provided time to catch one's breath after the several minutes of vigorous non-stop dancing involved in moving down the set. Unfortunately, modern practice tends to have infected film and social Regency dancing; rarely will you see a ballroom full of people all staring at one couple, waiting for their cue. "In 1814, the dances at Almack's were Scotch reels and the old English country-dance; and the orchestra, being from Edinburgh, was conducted by the then celebrated Neil Gow. It was not until 1815 that Lady Jersey introduced from Paris the favourite quadrille, which has so long remained popular. 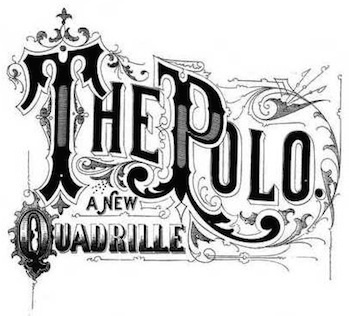 I recollect the persons who formed the very first quadrille that was ever danced at Almack's: they were Lady Jersey, Lady Harriet Butler, Lady Susan Ryder, and Miss Montgomery; the men being the Count St. Aldegonde, Mr. Montgomery, Mr. Montague, and Charles Standish." A late Regency ballroom is not complete without at least one quadrille (actually a set of five shorter dances). The most highly fashionable dancers might even indulge in some of the brand-new dance forms of the very end of the 1810s that adapted the formation (couple facing couple) and figures of the quadrille into country dances and recreated the idea of "improper" dances, in which the leading couple in a set started off on the opposite gender's side. This is a subtle point: country dances during this era did not have names. Tunes had names. Dance figures were more-or-less interchangeable and could be mixed and matched and set to any tune of the appropriate length. What to dance and what music to dance it to were separate questions, both to be answered by the leading lady in the set before the dance began. Veneration of particular choreography and choreographers and the idea of an unbreakable link between a piece of music and a choreographed set of dance figures is a more recent invention. "What is the name of this dance?" is a question that doesn't really make sense in Regency context, and should cause any choreographer or teacher asked it to at least pause for a moment while they try to work out how to give a reasonably concise answer more satisfying than "It doesn't have one." If I ever am involved with a Regency movie (highly unlikely), I shall insist that they hire you to organize & choreograph the dancing! Great post. I shall be directing others here! I dream of such opportunities! The one time I got to do a bit of television work, they didn't particularly want to listen to me about anything. It was quite frustrating. Of course, they had no time and no budget. Presumably a feature film or even a decent miniseries would have a bit more of each. I was chatting with a friend last night who's one of the actors being motion-captured for the upcoming Christmas Carol film, and he mentioned that they had just been filming dancers doing "Sir Roger de Coverley" (mentioned in the book, very appropriate). I'll be curious to see what they actually danced. It's not really "Regency", but it would have been co-eval--so what's your take on the dancing shown at the ball in the Russian film of War and Peace? I remember seeing that part of the movie after some of your earlier posts on this issue elsewhere, and wondering what your take on it was. I have, alas, not seen this film, if you are referring to Voyna i mir. Nor have I actually read War and Peace. I'm quite game to watch the film and read the book if I can find any time to do it in. Given the Russian setting, I would expect the dancing to be different than it would have been in England at the time - I would certainly hope to see some mazurka! I have danced a few of the dances mentioned. But please don't say that the Boulangerie is easy to dance. It's horribly difficult. (At least the version I danced). Thank you for the article. I will forward your site to friends who will certainly be interested in this information. Thanks, Lisette. This post has gotten so many hits I will clearly have to post more about this era of dance! What version of the Boulanger(ies/e/etc.) did you dance? It really should be easy - 2/3 of the choreography consists of circling to the left and then circling to the right. That would be the one--and while I last saw the whole thing back in the mid-1970s, I caught a bit of the ball scene on Classic Arts Showcase a couple of weeks ago--and the bit of dancing I saw looked to be formed sets, with one couple at the head of the room, leading the others. IIRC, this was the opening dance of the ball, and I have no remembrance at all of how much dancing of any sort was shown in detail after that. Serge: Yep! With motion-capture technology. Picture a row of dancers in black spandex bodysuits with little green balls sewn all over them! Jim Carrey stars. My friend is doing the physical acting and some singing for a bunch of different roles. It's slated for 2009, not sure what month. Sounds interesting. Speaking of that story, was the dancing at Mr.Fezziwig's party done correctly in the Alastair Sim version? Unless I figured things wrong, Scrooge would have been a young man during the Regency. What an interesting article! Perhaps you can answer a dance question: when describing the ball to Mr Bennet, Mrs Bennet refers to the dances by what I assumed were the time signatures: "Then the two third he danced with Miss King, and the two fourth with Maria Lucas, and the two fifths with Jane again, and the two sixth with Lizzy, and the Boulanger---"
Or does this indicate some sort of dance configuration? Also, I'm no dancer but I would love to find some of the regency dance tunes for piano that Mary Bennet and Anne Elliot seem to play so well. Any suggestions on where to look? Looking at the waltzing couple: I can see how it would be considered scandalous. alison: I've answered your question about the ball in P&P in a separate post. As far as music, there is quite a bit surviving, but mostly it is in fragile antique books in research libraries. However, there is a wonderful book out of music by Neil Gow, who was the orchestra leader at the London social club Almack's during the early 19th century and the composer of many popular tunes dance tunes. You can purchase it from Amazon . The usual answer from me about movie questions: sorry, haven't seen it! If I ever do I will keep the question in mind. Exactly how old Scrooge is and when Christmas Carol takes place (and thus when Fezziwig's ball does) are not entirely clear to me. It (Fezziwig's ball) could be Regency or it could be 20 years earlier. The dancing wouldn't have been significantly different in the late 18thc except that there would not yet have been quadrilles and definitely would not have been waltzing. I danced indeed a version in which we had to go 16 (?) paces to the left in a unknown amount of time (first problem) and in the next part to the right. Second problem was : male 1 links armes nd does a turn with female 2 and then 3 etc. Problem there was, which arm and turn in which direction. But then, we had three afternoons for four dances (Maggot, Shrewesbury Lasses, Boulanger and Hole in the Wall). Thank you for this very interesting & informative post! Mrs Weston, capital in her country-dances, was seated, and beginning an irresistible waltz; and Frank Churchill, coming up with most becoming gallantry to Emma, had secured her hand, and led her up to the top. "If you are very kind," said he, "it will be one of the waltzes we danced last night; -- let me live them over again." I suspect this may be the source of so much confusion over the waltz in Jane Austen's era. My understanding is that the above quotes actually refer to country dances danced in waltz time rather than the dance we think of as the waltz. Is that a correct interpretation? Yes, that's correct. When he says that he "led her up to the top", he is referring to the top of a country dance set, where each couple begins to dance. Thanks for writing such an informative article, Susan! I had pretty much figured out #8 on my own...but early dance manuals could be ambiguous that I was never absolutely certain. Could you share your source on that point, so I can show solid evidence to my country-dancing friends who may not readily believe me? Thanks! "The top couple of the general set commence the dance, and after performing the various figures set to the tune, finish a couple nearer the bottom; and the second couple will by moving up, become the top couple. The dance commences again...As soon as the top couple can form a Minor set, that is, as soon as the leading couple or couples going down the dance have gone down three couples, or performed the figure three tithes, then the couple left at the top of the general set, or of any Minor set, must commence. When it relates to the general set, only then each couple will, according as they stand in rotation in the dance, become successively the top couple, and so on till all the couples forming the set have in succession (what is termed) 'gone down the dance'." I hope that's helpful. I'll try to write more on each of these points in detail as I have time! Thanks so much for your answer, Susan! Yes, it's very helpful. Excellent! Finally! I have a very hard time persuading people that NO minuet in any film has anything to do with an an actual minuet--let alone the country dances. 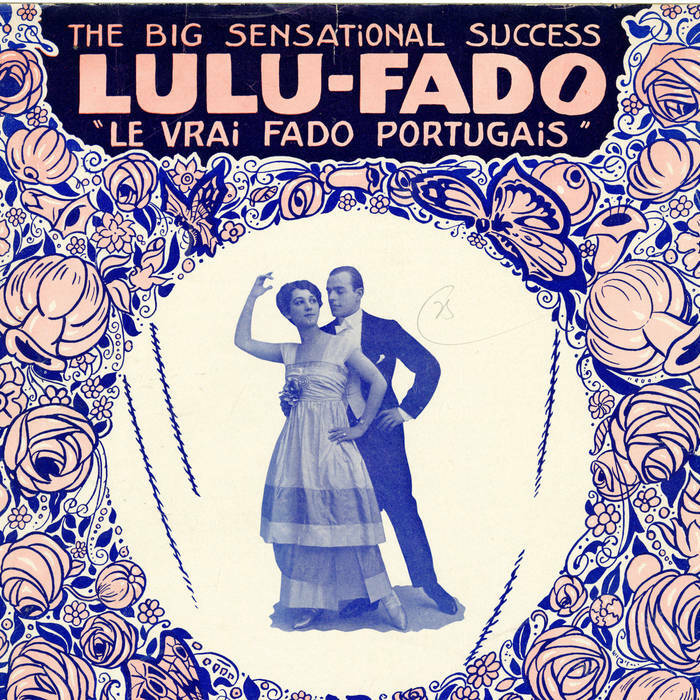 Having studied 19th century ballroom dance with Elizabeth Aldrich, I am well aware of all these minutiae--and how exasperating they can be to a trained ballet dancer, since the steps are similar to small ballet allegro steps, and the names too--but they don't always coincide!!! Ms' Aldrich's comments on trying to teach correct dancing of much later in the century to certain movie stars are mordant, indeed, culminating in her remark that "thank heavens they were only photographed from the waist up." But so it goes in movies.
" Real Regency Dancers Do It In Threes"
I really think this needs to be a bumper sticker!! Wow... SO much to know about Regency Dance. We always just do ECDs at our balls, it would be interesting to create a real 'regency' dance series for our balls and parties for the members to learn. I am always happy to come and teach if you can afford to bring me out! Hi! I was interested in the Boulanger as well. Can anyone tell me about its origin, popularity in the Regency period, ect, please? Also the coreography, but I care especially about the historical aspect of the dance, and its connection with Austen. Thank you! "Regency-era dancers were not interested in doing the dances of their great-great-great-great-great-great-great grandparents, any more than today's teenagers are. Dances like "Hole in the Wall" and "Mr. Beveridge's Maggot" were written in the late 17th century. Their music is completely inappropriate for the Regency era. Their style is inappropriate. Their steps are inappropriate. There is no sense in which these dances belong in the Regency era. " Though I do not disagree entirely with you It is equally wrong to say that these dances would never have been danced. Go to a wedding today and you still have people dancing "the electric slide" and "the hustle". A dance like "Hole in the Wall" may well have been danced if the person calling for it liked it or it was well know to the dancers. But as for the movies it is most likely chosen for its suitability to filming. Not that others might not have been chosen and worked as well. Sorry, you're just wrong. The electric slide and hustle are dances from the last three or four decades (1970s onward). A comparison with Regency to "Hole in the Wall" would be whether kids today still dance the Washington Post, Lancers Quadrille, Rye Waltz, and so forth. If you can provide one iota of proof of "Hole in the Wall" or any dance of similar vintage (1690s) being danced in the Regency, I'll be happy to look at it, but the very suggestion that they danced a particular named dance means that you haven't really grasped the way dance was thought of in the period. Go back and read #10 above. Thank you for the post. I'd really love it if filmmakers tried harder to recreate the times as they were. After all it's why we watch the movies. Reel was considered proper for a familiar, family setting. Darcy proposed it at home, and not during a ball. He really wanted to dance because he was already in love with Elizabeth. And what dance could be better than one in which he could both show off and become more familiar with the girl? Lizzy thought that Darcy wanted to offend her, because she chose to think he didn't like her and that he was a very unpleasant man who wanted to purposefully harm others, but she was wrong about him throughout half of the book. We shouldn't read Regency customs from her attitude to him. Caroline Bingley, who was privy to the exchange, didn't think that Darcy wanted to offend Lizzy. On the contrary, his behaviour towards her rival alarmed her even more. On the other hand, Lizzy wasn't blind to Bingley's offending other girls by singling Jane out, and yet she didn't mind it at all. Customs are customs, and romance is romance. HOW i would love a DVD of how to do it properly! are there any out there? I've always felt, from the descriptions i've read, that it didn't actually tally with anything i've seen on previews [one reason i eschew films of the books] nice to have that confirmed! What an interesting article. I shall have to share this with my English classes. I am curious to know your thoughts on the new BBC documentary 'Pride & Prejudice: Having A Ball'? I have downloaded it and am planning to watch it next week with a friend. If I have any thoughts more complicated than either "ooh!" or "ick!" I will try to write a post about it. Sorry if you've addressed this elsewhere; I couldn't find a "search" function for your site. I'm wondering about the history of the "grand march" - a local Austen club plans to do one at a tea dance they're holding - which is not particularly aiming for accuracy, so that's fine, whatever . . . but it just got me thinking: I was under the impression that the Grand March came after the Regency period, but I'm certainly no expert and I don't know where I got that idea. When did the Grand March become a "thing"? Hi, it's really interesting, I must admit I downloaded Purcell music thinking in a ball for my Austen club. But, I can't find proper music, I'm starting to think in romantism music, since I can't find albums, I'm from Argentina and buying from internet from another country can be quite expensive. Do you have a particular composer or composers that wrote music for regency dance? A question which I cannot find the answer to, please -- if the minuet which traditionally started formal balls was out of fashion by the time of the Regency, with what dance did a formal ball then begin? Anna, it would vary somewhat by time and place, but as far as I can tell, for England in Regency era, they would simply launch directly into the first country dance, at least until the advent of the quadrille and waltz made it possible to have balls that involved exclusively those two dances. Vuokkosims: most composers of Regency country dances were anonymous; probably the most useful single name would be the Scottish musician/composer/bandleader Niel Gow, who was responsible for many of the popular Scottish tunes used for country dancing. 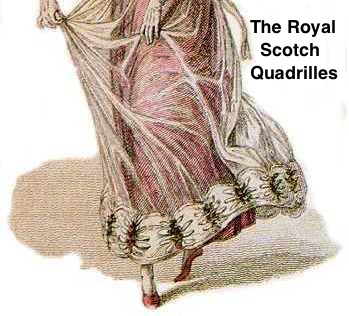 Quadrilles are more often credited. But you're not likely to find much usable dance music by searching by composer. Jenna: a Grand March appears to be more of an American tradition and more of the mid-19th century onward. I strongly suspect (but haven't actually researched) that it descends directly from the Polonaise, which was a march-like dance in 3/4 time popular in Eastern Europe and spreading from there into Western Europe, England, and America. A polonaise would be a reasonable thing for a Regency ball set in, say, Warsaw, Moscow, or Vienna, but somewhat unusual for England until the 1820s, and I'm not clear on how common it was in England even then. Can you direct me to some videos or other resources giving examples of proper country dances from Jane Austen's time. Every source I can find falls prey to all of these errors. 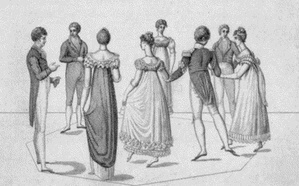 Even the dances I have learned for Regency balls in England were all done with two couples, not three, among other things. I am trying to cite this article for a research paper I am writing. Could you help? Also, what is your last name? Guardiola, Susan de. (2008, March 12). Real Regency Dancers Don't Turn Single: Ten Tips for Judging Authenticity [Web log post]. 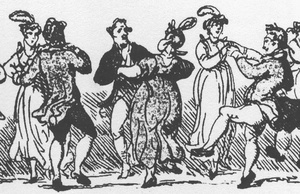 Retrieved [date of your paper] from http://www.kickery.com/2008/03/regency-dancers.html. But you should check with your school to see what their preferred format is. Dear Susan de Guardiola, I just read your excellent article from 2008. I teach a course CALLED "Jane Austen Dance," which is really a course in English Country Dancing as done today. I KNOW that the dances I teach are not authentic Regency. They'rePlayford, mostly, but done the modern way: duple, not triple minors, starting with all couples dancing together, not just with the first couples at the top, and WALKING the dances. But where do I FIND dances that are actually from Austen's time, and HOW do I learn what the foot-work was really like? I always could tell that the dances were danced, not walked, but how can I learn the foot-work? I teach the course at a woman's college, and I call it Jane Austen Dance so people will sign up for it! (It works!) I tell them it's not authentic, but I don't stress it.